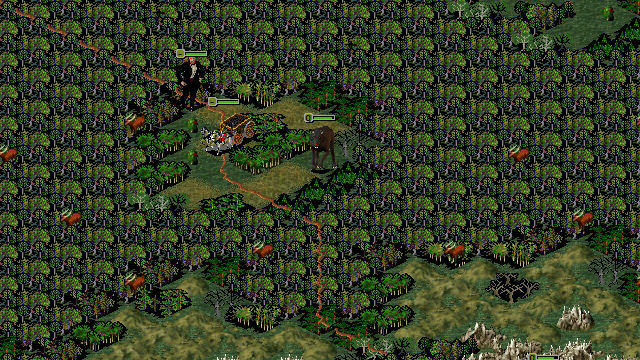 A scenario for Civilization II: Test of Time by Shelly. Arrived in Klautzenburgh today, the six of us. Beyond the forest lies Transylvania, lair of our enemy, Count Dracula. We have at last run him to earth, and the final game between us will shortly be played out. We are a motley band, we six. Myself, my beloved wife Mina (still suffering, I fear, from the Count's attentions), Dr. Van Helsing (a pillar of strength despite his advancing years), Arthur Holmwood-the new Lord of Godalming (who I think has never fully recovered from having to drive a stake through his fiancée's heart), Quincy Morris (Arthur's old comrade at arms, the American adventurer) and strange, cold, brilliant Dr. Jack Seward. Must stop writing now. My hands have started shaking. Welcome! Enter freely and of your own will! 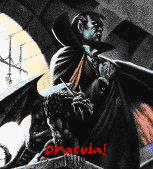 Thank you for downloading my ToT homage to one of the best bad novels ever written, Bram Stoker's Dracula. I can only hope that you have as much fun playing it as I had writing it. We are in the final chapters of Bram Stoker's novel. Our six heroes have finally driven Count Dracula out of England, and back to Transylvania. They have pursued him to the edge of his domain, but now they must face him on his home ground. The final conflict is at hand and the fate of Europe may hang in the balance! Gasp! Choke! While the scenario is designed with Professor Van Helsing and his fearless vampire hunters in mind, you might have just as much fun playing Count Dracula and his fiendish minions. While both sides are about equally matched, their objectives are slightly different. If you are playing Professor Van Helsing's merry band, then you must find and destroy all three of Dracula's remaining coffins (thus cutting off his escape), then storm Castle Dracula itself (there is a surprise awaiting you there) make your way down to the catacombs and dispatch the Count's black soul to Hell, where it belongs. 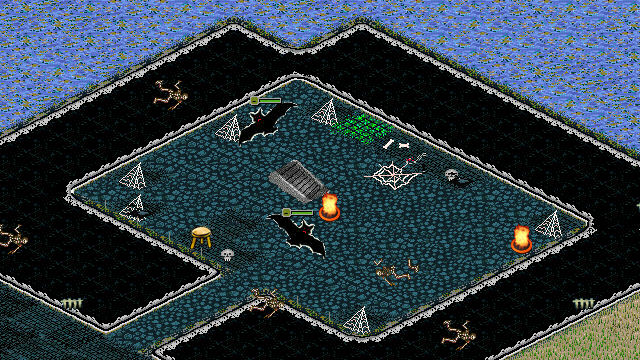 If, on the other hand, you are playing the Lord of the Undead, your objectives are much simpler. Use all of the formidable power at your command to crush these interlopers and feast on their warm blood. Feel free to toy with them cruelly, first.